On 11 April 2014, the Kenya Defense Forces (KDF) under AMISOM and the Interim Jubba Administration (IJA) based in Kismayo claimed to rescue two Kenyan aid workers who were kidnapped by al-Shabaab in 2011. Before their capture, Daniel Njuguna Wanyoike worked for a logistics company providing services to MSF while James Kiarie Gichuhi was employed with CARE at Hagadera refugee camp in northeastern Kenya. As reports of their rescue emerged, it became clear that they were the same ones al-Shabaab had “freed” in February 2014 after they “converted” to Islam. Pro-Shabaab media claimed that the two “accepted” Islam voluntarily after reading recommended materials. 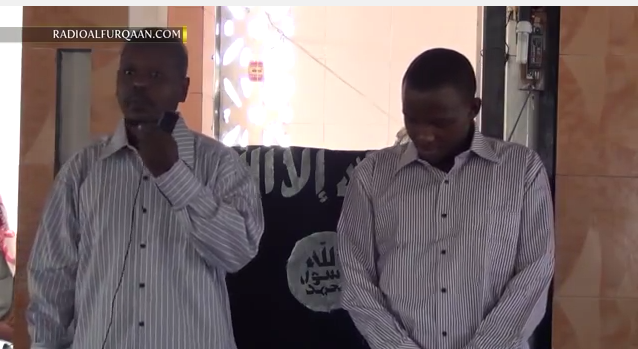 Al-Shabaab had hosted a special event at Uthman ibn Affan mosque in Barawe (Lower Shabelle) to announce their new “brothers” in Islam to the community and allowed them “free passage” as they wish to either stay in or leave Somalia. 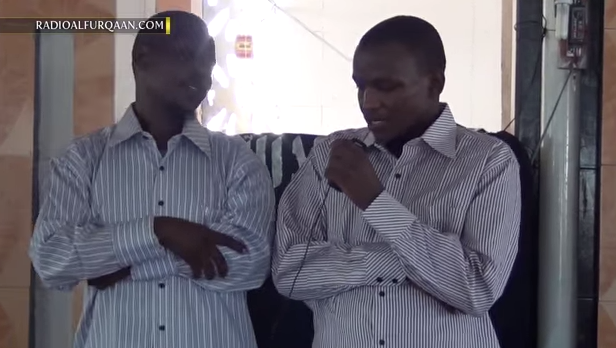 He explained that his kidnapping was in part a result of Kenya’s incursion into Somalia. Inside al-Shabaab’s prison, he said that he was given Islamic books to read before later realizing that he was supposed to accept Allah alone. He later advised that the “mujahideen…of Somalia to be strong” and requested that the Kenyan government troops leave Somalia. Nevertheless, video of the event had the uneasy feel of a “proof of life” video rather than a celebration of accepting a new religion. Kiarie did not appear to speak with the glee and excitement of a genuine convert but of someone who seemed nervous–as he appears to forcibly push the phrase “al-Shabaab government” from this mouth into the lapel microphone. He smiles nervously as he recites Islamic recitations and appears hesitant to chime in with the crowd chanting “Allahu Akbar” after he finishes each line. Meanwhile, his partner Njuguna does not speak much–choosing mostly to stare at his feet even when he took his turn for recitation. Kiarie looked on appearing fervent. Given the likelihood of a coerced (and “life-saving”) conversion, it is unlikely the pair will face the same scrutiny as “threats” coming home that thousands of Kenyan citizens, residents, and undocumented Somali refugees (who mostly fled rather than participate in violence) have faced recently in Nairobi. However, many will be interested in hearing from the freed Kenyans about their experience in captivity, the exact nature of their “conversion,” and how they travelled from Barawe to Dhobley without being apprehended or drawing much media attention from interactions with other al-Shabaab factions, local clans and militias, or groups unfamiliar to them. Notably, one of al-Shabaab’s most famous regional converts may be the Ethiopian sniper that allegedly defected to the group in May 2012, citing “debilitating” conditions in the Gedo-based Ethiopian camp. He allegedly converted to Islam and changed his name to “Abdallah.” Similarly, al-Shabaab marked the event with a celebration in Elasha Biyaha just outside of Mogadishu.